Start the search at Nanzhila! We have “hidden” 6 free bed nights across our booking calendar for 2019 in various rooms across various months. We will obviously know where these are and we will keep them secret until you confirm your booking. At this point, if your booking falls over or close to one of our “Free Bednights” we will let you know and you have 1 free bed night on us! CLICK HERE to enquire and start the search! The value of the booking will be equal to 1 bed night on the same package that the rest of your booking is. Only applicable for new bookings. The search ends on 24th April 2019. Park fees and levies are excluded on all free nights. The 2018 Nanzhila season has been phenomenal so far! Despite the long grass and very late rains, clients have still been able to see Wild Dog a number of times and we now have a resident leopard that is being seen regularly. The roads through the plains are still very waterlogged and we have had to rescue umpteen self drivers who took the wrong route. However our guests have still been able to get some really good sightings on their visits and as usual, cheetah and serval are being seen often. 2019 Rates are out! Please contact us if you haven’t got a copy yet and would like to get a copy – email us. We are in the process of finalising all the 2019 packages but the Classic Kafue package remains as before and we are very excited to be working with SAFPAR and THE EXPLORER CLUB to offer Zambia’s Wildlife and Waterfalls. Finally, if you haven’t told your keen birders about our Birding Big Day – there are still places available for the first competitive birding event in the Kafue National Park. We’ve had a late start this year and its been all hands on deck preparing for the upcoming season that begins with our first clients arriving on the 11th. Nearly all of our annual rainfall occurred in February, about 500mm. We’d normally plan getting into camp to start preparing for the season at the end of March but the area was inundated with water making access before mid-April all but impossible. So since mid-April we’ve added a new deck to the main nsaka, new window gauze in the chalets, re-varnished the window sills in the chalets and decking in the tents and dug an enlarged soak-away for the kitchen, in addition to all the standard maintenance and cleaning that takes place at this time of the year. Having so much rain in such a short period of time has caused some erosion and wash-away on our main access road from Livingstone. At this time of the year the plains are under water and access to the lodge from Dundumwezi Gate is via the southern boundary and cordon roads. We are expecting the plains road to open sometime in July. Until then the transit time from Livingstone will be a bit longer than normal. A consequence of the late rains is that we still have plenty of surface water around and the bush is lush and green and the grass very high. Absolutely lovely but it does make wildlife viewing somewhat challenging. Wildlife tends to be naturally dispersed at this time of the year becoming more concentrated as surface water dries up. The plains are still inaccessible so in May and June will be concentrating our game viewing efforts to the west, on higher ground, particularly in the Mafuta Loop vicinity and as far north as the Ngoma area and Lake Itezhi-tezhi, and bush-walking areas along the Kasha and in the Zebra Pools areas. Although wildlife is difficult to see on account of the high grass we have seen most of the antelopes and plenty of evidence of the cats, particularly lion and cheetah, that at this time of the year tend to use the roads to avoid the grass. On the birding front most of the migratory species seem to have left for warmer climes but the residents are out in force. The openbill stork are still on their nests with active heronry’s up and down the length of the Nanzhila River. Zambia’s First Birding Big Day! The dates are set, the camps are ready – you just need to choose your team and which venue to go to! What makes the Southern Kafue so special? While the Southern Kafue has slowly but surely become of Zambia’s unsung conservation success stories over the last 2 years, there are still a lot of people wanting to know what makes the Southern Kafue so special? 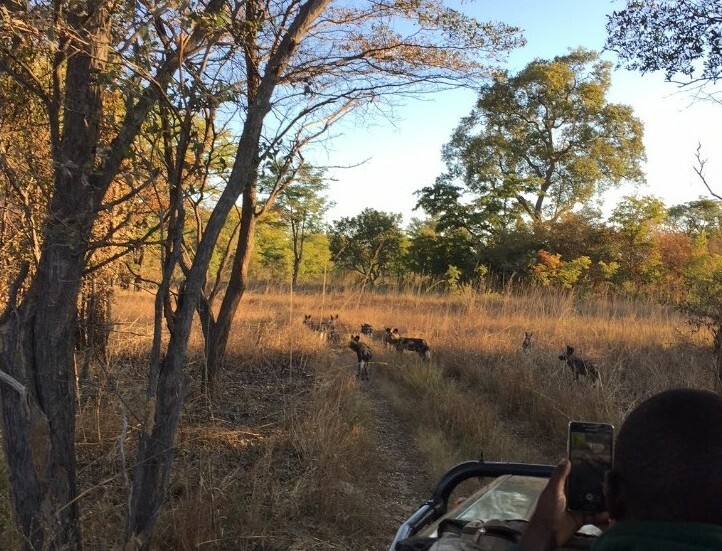 Well firstly, it’s the most accessible part of Kafue National Park with Dundumwezi Gate being a mere 3hr drive from Livingstone and the Victoria Falls – no other part of Kafue National Park can be accessed as quickly by road from one of Zambia’s major cities (Lusaka or Livingstone). Finally – you will have 3000 square kilometres of Kafue National Park wilderness to yourself! Nanzhila Plains is the only safari camp in the entire region…so this is a real wilderness to be experienced the way Africa was meant to be enjoyed! 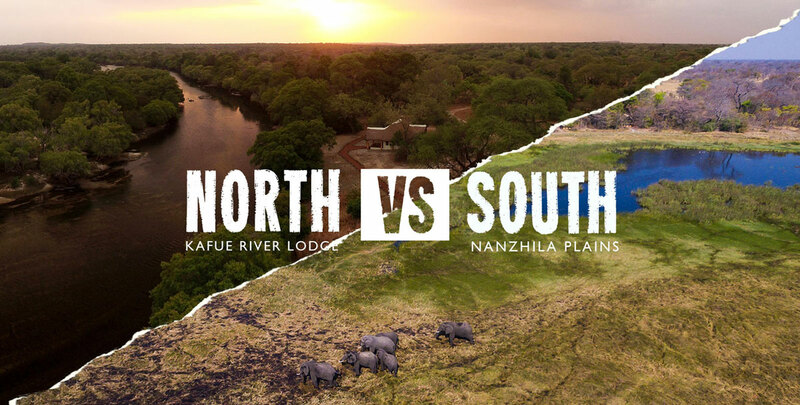 Sustainable tourism has been behind the good news story of the Southern Kafue so make sure you are part of it in 2018 – CLICK HERE for rates and availability to visit the Southern Kafue from Nanzhila Plains. Sneak into the Kafue for 2 minutes! 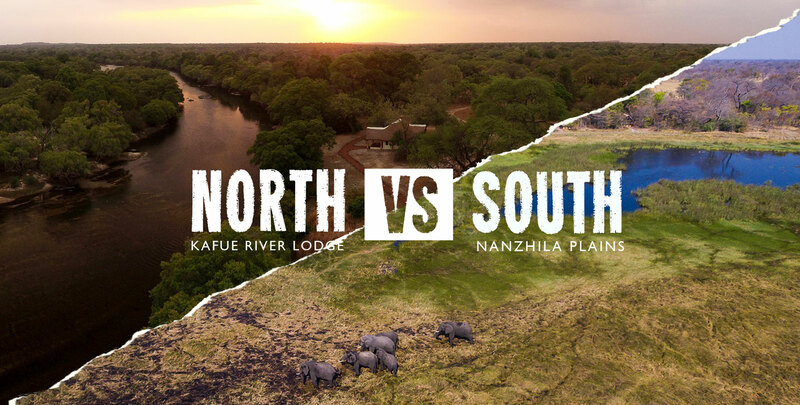 [VIDEO] If you never got to visit the Southern Kafue this year, now is your chance…this could be the best 2 minutes of your week! Many thanks to the brilliant team from The Rusty Mokoro for their efforts in producing this video. “Don’t cry because its over, smile because it happened” We will cry a little to be honest – such a beautiful lodge, location, wildlife, but above all the beautiful people. Thanks Steve, Cindy, Brett and Caesar. Miss you and the rest of the team.” – Karina and Raymond, The Netherlands. August and early September have been very busy for predator viewing in the Southern Kafue! Starting from the ‘biggest’ – lion movement has been consistent although we hear them a lot more than they are seen! We had a great sighting of this young male again who has been in the area for awhile – maybe a sign of shifting power balances in the Southern Kafue lion prides? 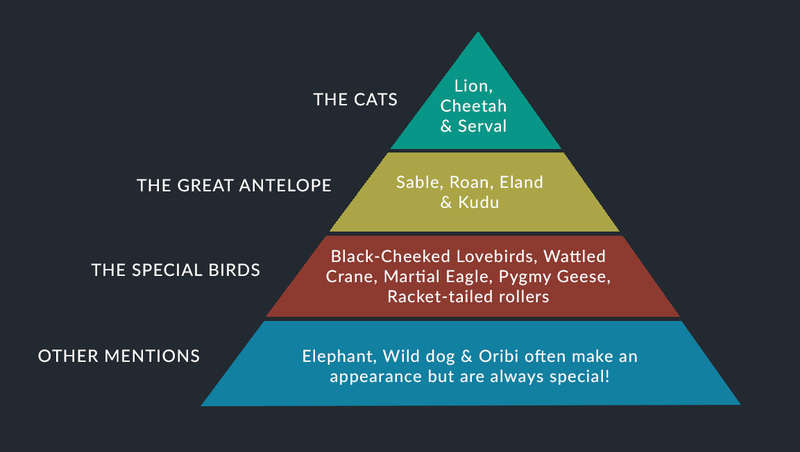 “ Waouh – Great – 7 cheetahs! I’ll be back!” Richard Schneider – Switzerland. But as mentioned, cheetah have not been the only spotted predator to perform in recent weeks and we were absolutely delighted by this sighting of a serval which did a wonderful job posing for us! Earlier this year, the Nanzhila community (and indeed the greater Kafue National Park community) were deeply saddened to hear of the passing of Peter Moss. He was instrumental in helping us set up our online guidebook and was a great supporter of the whole of the Kafue. Barely a week would go by before Peter was back on email or Skype with introductions or ideas to encourage people to visit the Kafue and his support is greatly missed. Steve Adams (thesafaristore.com) who co-sponsored the memorial bench (with Nanzhila) and Cindy, and Sport Beattie and Clive Dickinson of Game Rangers International. Sable, Roan, Eland, Lichtenstein’s hartebeest, blue wildebeest, kudu, reedbuck, impala, common duiker, oribi along with a variety of the smaller and more secret life with some great serval sightings, the famous Nanzhila honey badgers spotted in daylight and no doubt off to raise a caucus somewhere and civet being spotted most evening drives. There were sporadic sightings of lion, cheetah and leopard. Wild dog have been seen by staff regularly near the back of camp, which hopefully means that they are denning near by.